There are many parents who might cringe at the thought of taking the kids to Disneyland. There's just something about the place, and many amusement parks like it, that doesn't seem right. In respect of the concept of 'Full Disclosure' I must confess to you that our children have been to DisneyLand. In fact, they have been twice. And you know what - they had a blast. 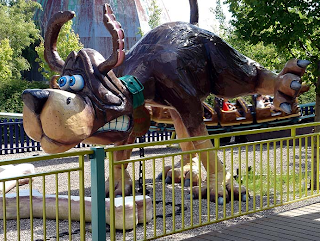 The trick to remember about going to one of these massive amusement parks is that, as a parent, you just have to squint your eyes a little bit and remember that what a child sees is much different than what you see. It can be a fun time for all. Nonetheless, if you are one of those parents that still think it is not the best of ideas to expose to your children to, then have we got news for you. The theme amusement park can get even more outrageous. 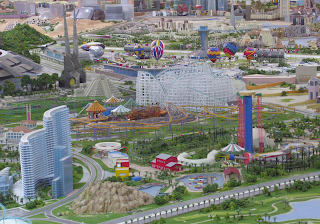 DubaiLand: By now you've heard of how Dubai has sprung from the desert sands almost overnight. In it's effort to excel, or overdo, just about anything any other city might deliver, Dubai Land is the perfect metaphor for what Dubai (the city) wishes to create. Dubai Land endeavors to be the mother ship of theme parks, consisting of a whole bevy of 'lands' under one umbrella including.... well, you name it, it will probably have it. HarmonyLand: What Mickey Mouse is to DisneyLand, Hello Kitty is to HarmonyLand. Except, this being a Japanese theme park, it is intensely (and beautifully if you are a fan of Hello Kitty) devoted to its theme. Apparently, the parades are incredible. 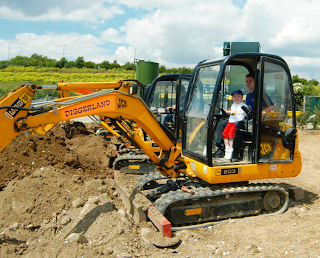 DiggerLand: In the true British spirit of DIY, the 4 theme parks that comprise this 'amusement' park are pretty much no frills affairs. Basically, your visit will include an opportunity to sit in an operating dump truck or variety of digging machine. It may sound fairly odd (and it is) but it can be surprisingly fun for the little 'builder' in your family. 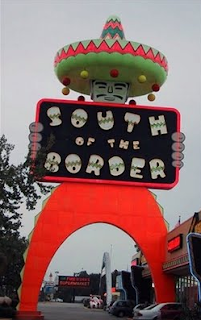 PedroLand: Known as 'South of the Border' because of its location just south of the border separating North and South Carolina, What apparently started as a beer stand almost 60 years ago has developed into a rest stop featuring restaurants, a gas station, its own fire and police stations, and a motel. It also includes the small amusement park. Somehow, the Mexican theme seems to be unexplained and seems out of place. But, what the heck, the USA is full of strange amusements - and this very campy place is without any competitors when it comes to its roadside advertisements - hundreds of them apparently! Suoi Tien Park: Who says religion can't be fun? 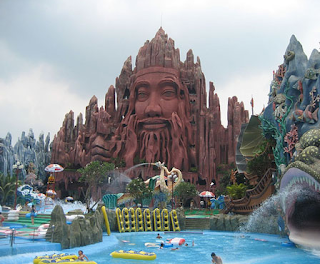 In Vietnam, Buddhism is given a whole new focus in this water park meets amusement park. Water slides sprouting from a 12 story replica of the Buddha himself, waterfalls, animals everywhere (including a crocodile feeding pond) ... how's that for enlightenment! 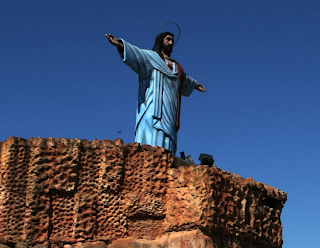 Tierra Santa: This is the penultimate when it comes to a religious theme amusement park. Located in Bueno Aires this place is more of a wonderland than anything else, with it's sole focus on stories from the Bible, including as the center piece, a 60 foot plastic Jesus rising, every half an hour, from behind a mountain to the sounds of Handel's Messiah. From what I can find out, the sensation is beyond desription! 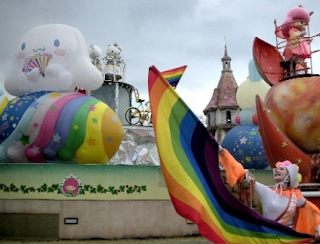 BonBon Land: An amusement park's focus on a mouse, or a kitty, is one thing. But, hands down, the choice of theme for BonBon Land takes the prize for the wackiest. Located just outside of Copenhagen, Denmark - this place has an obsession with pooing animals and farting sounds it seems. The theme comes from an equally strange range of candies that are/were popular in the 80's and 90's. I must have missed that one. Not for the faint of heart! This place is should certainly not be confused with the other amusement park in Copenhagen - the famous Tivoli Gardens, which is about as far away from the theme of BonBon as you can get!!! And, if you think these are odd, there are even others that are classified as 'amusement' parks that are either too horrific, like one in Lithuania, or just crazy, like an adult version in South Korea. Personally, after hearing, or seeing, these examples, DisneyLand really doesn't sound so bad after all, no? It's a strange world out there! I have written before about Cynthia Lairs cookbook (which I use all the time!) 'Feeding for the Whole Family' she just contacted me about her website 'cookus interruptus' which includes a bunch of her healthy and fun recipes, along with helpful (and funny) video clips, you will find out what the interruptus means when you watch. Sometimes when I get bored making my same old recipes I like to get inspiration from others and I think this is a great place to go online to get some fun ideas. I have recently gone awry with pasta and veggies and various ways of cooking with them so I needed an 'interruptus'... thank you cynthia! I love that the dishes are not complicated, they are simple family meals that are nutricious and delicious. It can get hard when everyone gets wrapped up in recipes that are complicated (okay these are sometimes fun too) but day to day recipes are sometimes hard to come by and if you are like me you change your recipes to fit your needs and your families tastes. Recently, while putting some of the kids clothes away I noticed that one of my son's shirts was missing a button. Actually, I was hanging the thing and accidentally ripped a button off. 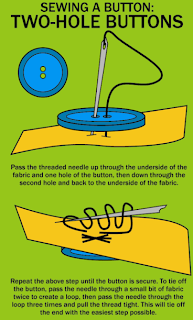 Now, rather than admit that I made the mistake which would have put an immediate end to my embarrassment, I got it in my head that this was a sign from above that it was finally time, after 4 decades of half hearted attempts, to take on the task of sewing a button on myself. Over the years, whenever I was confronted with the task, I'd find some way of not having to do it myself. This was easiest when living with my own mother, who didn't mind that her son couldn't do the small endeavor himself - probably because it continued to keep me in a position of needing her. Later, I would pretend some inability or another and get a girlfriend, or in one case, a neighbor, to help me. For some reason, I had never had to do it myself. Now, staring at my son's shirt, I decided I would need to make a stand. Not just for myself, but for all the men out there (barring those that were in the military or survivalists) who, for one reason or another, just never had to do it. Anyway, how hard could it be. I knew how to chop down a tree, paint a house, change the oil in my car, and dig a hole. I could handle it. But, just to be sure, I'd use the world wide web to help me. Rather than ask my wife or mother for a demonstration I could pretend I already was self sufficient by finding someone online to help me. Well, I guess I wasn't the only one having trouble. There were millions of demonstrations available. Now, the new problem was determining which one to use. Who would have known there were so many different ways of approaching it? I could have sworn that there was even some sort of political debate about whose method was the best. Had I looked long enough I'm sure I would have found a blog dedicated to the simple craft. But, I didn't have time, I needed to get it done before anyone came home and witnessed me staring willfully at a button laying on the floor. Trying to sew and watching a demonstration online is tough going too - nobody tells you that one. I damn near killed myself with all the failed attempts as I just tried to thread the damned thing through the needle just to get started. Finally, I had developed my own method which required holding your breath and bracing both elbows on nearby chairs as you braced your chin in your chest. Now I started in on the task, threading and threading - foregoing the technique that suggested using a match stick to allow some slack. I was a bit worried that my furious weaving of the thread as I poked about might trigger the match to light unexpectedly and burn myself and the house down. I had this brief vision of fire investigators announcing on live television that the cause of the fire that burned half the town down was due to this idiot trying to sew on a button. It was the wrong impression I wanted to leave my kids, or my wife, who presumably would be only to happy to chisel the word 'IDIOT' on my tombstone. But, I did it. Or at least I convinced myself I did it. It wasn't so hard after all. I was kind of proud of myself. It was a bit like when I first learned how to make a white sauce without utilizing a full bag of flour. I was relieved. Even more so, because it was days before anyone noticed. My son calling from the other room alerted me. As I came rushing into the room he was holding the shirt up and pointing at the place where I sewed on his button previously. He thought he had discovered a bee hive of some sort. Next time I'll just staple the thing on. That'll teach them to be so unappreciative. I had to bribe him to keep it quiet. Now that I knew how to do. favorite thing of the week - back to school! Of course we all love summer, barefoot, summers warm sun, kids running around at the beach.... it's all great. But at this time of year I get really excited for 'back to school', back to a decent schedule, back to work (okay so I love my job is that so bad! ), and back to a cool and comfortable nights sleep. 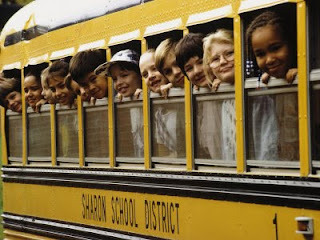 Call me insensitive, but don't think that I don't love my kids... but I just love that first day of school, you bring your kids to school, kiss them good bye, and drive home (or go to work)--sit back-- drink your coffee--all in silence... it's just ravishing! Back to School... my favorite thing! For some of us, design is almost everything in life. By nature, we are just attuned to our environments in a different way and because of that, we are very sensitive to space. I was reminded of this by a couple of posts that I recently spied on Handmade Charlotte. I had to laugh when I read Rachel's comment on the children's section at most bookstores being a design afterthought. Isn't that just about true of any children's section elsewhere too? She's right, most people think they've got it right when they just throw up a Brio train table or puzzle table, etc. The kids may not really notice. But, I sure as heck do. ugh! 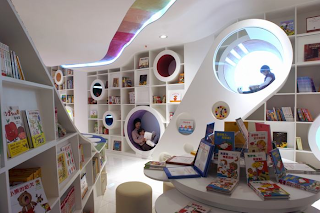 So, it's a pleasure to see the pictures of the Kids Republic Picture Book Store in Beijiing, China. And, in some ways, it's even better to see the pictures of the Yuyu-no-mori Nursery School and Day Nursery located in Yokohama, Japan. How inspiring! My kids go to different schools, and both are nice. 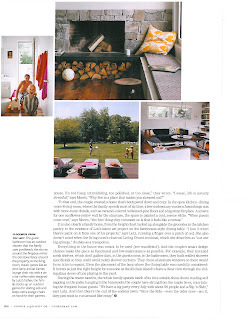 But, it is hard to find comparisons to these beautifully designed spaces. 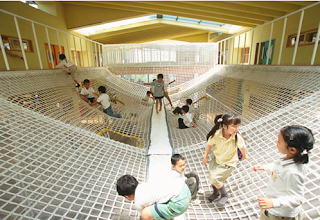 If you go to this website, and excuse some of the language barriers while you scroll down a bit, there's some other lovely pictures of beautifully designed Japanese schools too. Last year at some point, I remember packing the kids their lunch box and I got to thinking about how much the way I packed the lunch might not be so great. I'd given a lot of thought to what went into the lunch box, meaning I chose the foods I put in carefully - even the snack. But, I had not really noticed how I was actually packing the lunch in the box. I was using plastic containers for the main course, fruit, and snack which was OK. But, often, in the beginning I would put a juice box in, or yogurt container. This doesn't seem like a big deal when you're packing your child's lunch early in the morning, but if you multiply this by all the other mothers (and fathers) doing this on a daily basis, it starts to add up to a lot of waste. And, the funny thing is, it really doesn't require much change to make a difference. So, I was excited to see the ideas that I saw on Wise Craft the other day. I loved how simple the ideas were, and how effective they would be. 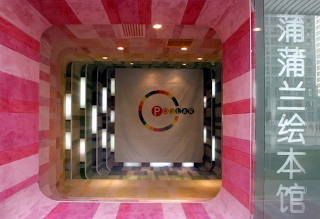 Plus, the designs are pretty fun and 'feel good'. 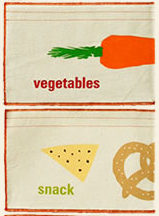 The one I think I'm going to get this year are the organic reusable sandwich and snack bags offered by graze organic. I just love the fun graphics, and the whole process of manufacture is accountable and environmentally friendly. The other idea is to make your own reusable sandwich wraps from material that is much more effective and environmentally effective. 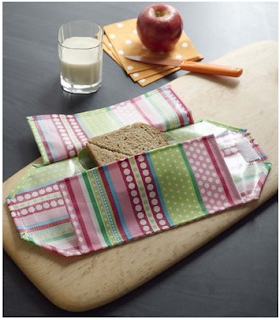 On the website that offers the tutorial for making your own reusable sandwich wraps, betz white, there is also some statistical information and tips available to remind yourself why it might be important to consider scrapping the use of disposable plastic bags, juice boxes, and other wasteful containers. 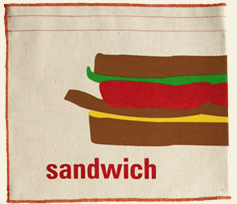 I remember that my mother used to wrap my sandwiches in a cloth napkin. As a convenience over the years, all of this wasteful rubbish has made it's way into our everyday lives very effortlessly. It's time to take a closer look at the stuff we take for granted each morning. And, the above ideas are just a few simple ways to make a BIG change! Anyway, it's certainly easier than getting the kids to eat a banana/peanut butter sandwich! I'm going to try the reusable bags, and continue what I started last year - using a thermos for drinks instead of juice boxes. What about you, any other ideas for the packed lunch box? Somehow, I never really thought of this part of parenting when I was holding that little baby in my arms and couldn't stop cuddling and looking at him... and then, just like that, the little baby grew up and we needed to start thinking of some 'boundaries'. Like most small children he started to get a little rambunctious, a little more excited by the world, and I certainly didn't want to crush that... everything that you didn't think of when that little bundle came along. Discipline... it's a heavier word these days it seems. But, it's never far away. My husband and I have spoken about our own childhood experiences and we couldn't have been wider apart. My mother, especially after my father died when I was very young, was quite lenient (but then we were two girls). My husband speaks of a sterner discipline in his childhood, bordering sometimes on more severe forms of punishment (well they three boys and two girls...). It's a hard topic to discuss at times, even with friends, because honestly, there seem to be a wide variety of opinions depending on who you speak to. Just the other night I was reminded of this subject while watching an episode of Mad Men, when Betty Draper finds her pre-teen daughter sneaking a cigarette in the bathroom and grabs her and puts her in a dark closet. Then, lately, I've received a few questions from parents wondering if I had any suggestions concerning the subject. So, my husband and I were fairly determined not to be very stern with our son, and then daughter. My husband especially was clear that none of that would help, or do any good. 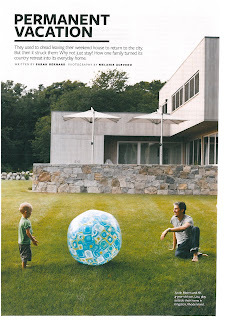 We decided to take our cue from our pediatrician at the time, Dr. Michel Cohen. In his book "The New Basics" we followed his suggestion in the chapter on Discipline and Boundaries. I was laughing at his intro, but it all made sense and it took the edge off this sometimes difficult subject. He basically said that 'you have to stand up to your kids early and consistently.' And, both my husband and I have come to believe it. In our case, bad behavior from the kids - like unruly behavior, pushing, shoving, screaming, etc - was met simply by a consistent form of punishment. I won't give you every detail but first of all, whatever you choose to do you need to stick with it. I think this is one of the hardest aspects of discipline: parents caving in on your crying child, or trying to explain their actions to their child, or losing control (or losing your cool) in the situation. At least it has been for me! And the second part that is hard for me is to stay calm and not show emotion. But I would like to give you a few ideas from Dr. Cohens book because I'm sure that it will help anyone and everyone create a set of guidelines early on. It handles the subject very well, it also gives me a bit of relief that it comes from him. Dr. Cohens whole approach in his book is a bit laissez-faire, but he says directly that his approach to discipline is certainly not! His approach is simple and direct and it really works. First of all you should get the book and read the entire chapter (and this book comes in handy for many, many other questions that come up with babies and kids). I think that many parents fall into the trap of giving lengthy explanations to their kids for their discipline, but kids don't really understand all of that talk and it just confuses them. What they do understand is direct action. The best, and most basic form of punishment and discipline, is to simply take the child out of the situation (privately or publicly) and put them in their crib (this was a problem for us because we didn't have one), or a room, and close the door. If a public display ensues, then take them away from the setting however you can - in our case usually picking up our son or walking him away by the hand. This takes them out of the situation, they can throw their fit (and later they will get over that). If in a room, leave them in there for about 2-3 minutes without talking, depending on the age. Then when it's time to come out don't explain and talk about what just happened just let them out. If he or she does the same troublesome behavior again, repeat the action. It's important that you don't get upset, laugh, or get overly involved, keep your emotions on an even keel (if you can! I have had a hard time with this one, but not my husband...). This works for various kinds of situations, Dr. Cohen goes on to explain do's and don'ts that are very helpful but you get the idea. But one thing that Dr. Cohen advocates, and I agree with him on this, is the need for a stern and consistent response to discipline. Maybe not at first, but you will soon see that it helps form boundaries and kids actually may need it. And, in the same spirit, we should not reward bad behavior just because we don't want to acknowledge or deal with it. In other words, we should not be the kind of parent who bribes their child to behave better. Because this just plain doesn't work, and you are only building a trap for yourself. 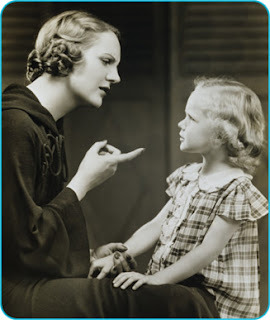 Some parents believe that a softly softly approach to bad behavior is appropriate. This is where you try to softly explain to you child that their bad behavior is not right and that they should try to act better. Honestly, most of the time your kids don't really understand that you are saying and I have a hard time finding a situation where I have seen this work effectively. Our young children are watching us, and they are learning. The earliest lessons, even if it seems a bit harsh, are necessary to counter any later behavior problems. Honestly we have one of each in our family. We have a boy who really knows how to push his boundaries sometimes and a girl who rarely does anything inappropriate - and only rarely needs light discipline, like a warning. You will learn what slight variation works best for your kids but don't be afraid to be stern with your boundaries. I think that people feel that all of this 'free range' parenting or nonchalant parenting means you let your kids run wild. But honestly, a child that does not know discipline is a child that is going to be a handful. Trust me. 1. The warning. We will usually say 'that's not nice, stop that. I will only warn you twice' or something like that. 3. Without raising our voices, and if the action still occurs, we rise up and take action - which whether or not it is public or not, means a form of time out. Kicking or screaming, it doesn't matter - out you go. Very rarely now do we even have to get past stage 2. However, there are times when the situation is rougher or more egregious, and it becomes more complicated. I'm not going to pretend we are perfect, and there are times when I'd like to just roll out a cannon and blow up the whole darn room!! But, if this is the case, then I have learned (and you might too) that you just have to take a deep breath and regain control of yourself! One other thing. Bad behavior gets punished, in our opinion, pretty swiftly after we get to #3. But, it is worth remembering that good behavior shouldn't go unnoticed either. Very frequently we make it clear to our kids when they have been nice in a situation, or gentle, or kind. We don't make a big fuss over it, but we do make mention of it, we like to use the 'big boy or big girl' rather than 'good' bog or girl (another suggestion from Dr. Cohen). Just so they know the difference, perhaps! I'm not a professional here. These are just my suggestions, based on my experiences. I hope they answer some of your questions. jess brown dolls and wovenplay! Jess Brown and Wovenplay collaborated on a collection of dolls that are simply perfect! I love how each peice has amazing detail just like wovenplay clothes for kids! I have to say that when I got the email from Katherine that she was going to work with Jess on some dolls I was so excited! What a perfect combination! Jess the most talented doll maker I have seen! and Katherine (wovenplay) just the most creative AND talented dressmaker I have met! 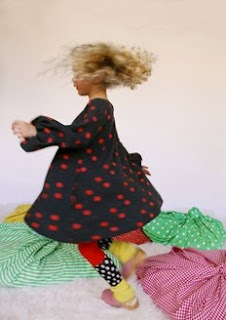 Jess has always been inspired by beautiful textiles. She began making dolls for her daughter, Stella 9 years ago using old cashmere sweaters and antique remnants. As committed flea market goers, they would search together for amazing antique pieces, trims, buttons and findings.This has now all come together as a small line of one of a kind and hand made rag dolls. Each doll is hand dyed in persian black teas to create variations in skin tones. 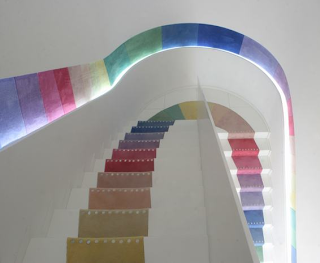 They are all made of cotton muslin and linen, and primarily recycled and antique fabrics and findings. Each doll is stuffed with a sustainable corn fiber stuffing. There is something truly beautiful about a threadbare, worn, and well loved doll that has been created with the finest materials. 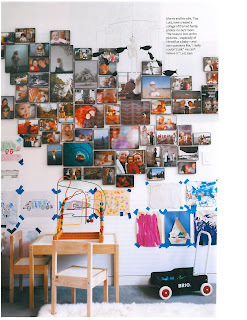 Jess lives in Petaluma, California with her children Stella and Tiger and her husband Erio. She owns a small shop in town called maude with her good friend Stacy. She got together with Katherine from wovenplay last year and decided to make these wonderful dolls together! I'm so glad that they shared them with us! Thank you Jess and Katherine! We're gearing up for getting the kids back to school soon. That means packed lunches again. You're probably in the same boat as us when it comes to promising yourself that the kids will get a good dose of good food in their daily lunch box. 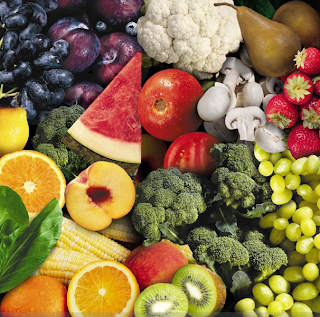 Some fruits and veggies are always a good idea, as well as the requisite container of yoghurt. We just received our new 'backpacks' (Sander opted for the 'NYC' look this year with an over-one-shoulder RED messenger's bag, while we gently talked Franny out of a Hannah Montana monstrosity she happened to see elsewhere and instead got her a very cool backpack covered with animal silhouettes that she is raving about now) and this reminded us about a new lunchbox for Sander. This made us think of lunch. And this made us think about the topic of this blog! 1. Nectarines – 97.3% of nectarines sampled were found to contain pesticides. 2. Celery – 94.5% of celery sampled were found to contain pesticides. 3. Pears – 94.4% of pears sampled were found to contain pesticides. 4. Peaches – 93.7% of peaches sampled were found to contain pesticides. 5. Apples – 91% of apples sampled were found to contain pesticides. 6. Cherries – 91% of cherries sampled were found to contain pesticides. 7. Strawberries – 90% of strawberries sampled were found to contain pesticides. 8. Imported Grapes – 86% of imported grapes (i.e. Chile) sampled were found to contain pesticides. 9. Spinach – 83.4% of spinach sampled were found to contain pesticides. 10. Potatoes – 79.3% of potatoes sampled were found to contain pesticides. 11. Bell Peppers – 68% of bell peppers sampled were found to contain pesticides. 12. Red Raspberries – 59% of red raspberries sampled were found to contain pesticides. Now, those are some alarming percentages and even more alarming when you realize how popular the top 12 are in our daily diets! We are what we eat. But, we are also watching out money (especially these days) and even though the thought of eating such contaminated products turns us off, we are aware how much more it can cost us to purchase organic - even when many of us know how much better it is for us to support organic for a variety of reaons. So, if money is still your deciding factor, at least now you can perhaps pick and choose from the worst offenders and at least opt for some organic items? A little compromise can go a long way. Food for thought. new homepage design for nonchalant mom! I have been meaning to do this for awhile now, but hey... we've been busy! But I found a moment to squeeze in a new design for the homepage! It helped that when I took the images for the new Nico Nico collection I just fell in love with them... so honestly, it was easy! It came together perfectly and I think it looks great! But you are the ones to tell me!! I would LOVE to hear what you think, so make your comments, constructive or not, and we will do what we can to make everything easier and more fun for you to shop! We are planning many more things coming down the pipeline, but most important are the NEW COLLECTIONS!! This season I changed things up a bit, you are going to see some new collections that I think you will LOVE... just as much as I do! I thought it was time to look at things and give you some surprises! This week is a new jewelry collection that I love called nikki b. - I think that you will love her fine and delicate things, they are fun to wear and the kind of thing that works for all day and then can also be special enough for night! I think that you all dipped into a bit of the wonderful knitwear line called nico nico - organic, colorful, well constructed, I can't think of anything that's missing from this line and I love it! BOdeBO is a really fun and exciting collection from France that I have been watching and finally decided it was time to add it to Nonchalant Mom. It's cute, playful and colorful... just what you need to make every day fun for your kids! You already know Makie' very well, and I know you love her and so do I... as I have said many times, she is one of the reasons that I started Nonchalant Mom! This season I have a few things for mom as well as for kids and just a few funny accessories! Matta, kit+lili and Lucky Wang will all be arriving soon! Stay tuned and don't forget to tell me what you think about the new homepage design!! You can see for yourself her effortless style, which also comes through in her eponymous collection Lutz & Patmos which is filled with luxury sweaters that she and her friend/partner Marcia Patmos have created. If you want to find something incredibly well constructed and designed visit her website to find beautiful sweaters for the coming fall season! It's so much fun to have a neighbor that's inspring and as it happens her son Lou and Franny are pals as well! I hope Tina and Justins house will inspire you as well! or get the September issue of Cookie Magazine! We traveled something over 3,500 miles in 12 days. Sometimes, in hindsight, everything seems a blur of trees and water. And, I'd be lying if I didn't say we have returned more tired than when we left - if not strangely refreshed. But, one thing is for sure - we had a WONDERFUL time and saw many things. The kids did and saw things that are a first - and the weather couldn't have been much better throughout. The memories will be invaluable to us. Really, if you're up to taking a road trip with the kids, I would highly recommend it. In fact, we are already talking about doing it again... this time going up the eastern coast of Canada camping. But, first, we need to get some rest. Oh yes, and I guess it's time to get back to work! Below, I've submitted some pics to wrap up some of the best moments. We made it to Minnesota and only about 2 days behind schedule! --oops! just too much beauty! The entire trip has been fantastic and I highly recommend a road trip to anyone who is ready to take it on, be ready for anything, and willing to just go with the flow... We have been on a tight schedule to meet my family up at one of the small islands on Burntside Lake in Minnesota and we ended up 1 1/2 days behind, but at least we were meeting an extended group of friends and family so everyone understood our 1500 mile drive and our possible delays. We arrived in Ely, Minnesota (just a 5 minute drive from Burntside Lake). Ely is such an idyllic town with all the essentials at hand, ours being a nice cup of coffee. So we took part and then made our way to the island on the lake. We were able to share in 3 days of relaxation and fun and an amazing abundance of wildly good food and laughter (and just a bit of Aquavit!). There is nothing better than a crisp clean lake for a morning bath, collecting your own drinking water from a natural spring nearby, and nothing much else except fishing and swimming or canoeing. A bit of 'roughing' it - but the kids don't complain if their rituals are missed or forgotten, let me tell you! the closest thing to JAWS !!! Sander caught a giant 5 lb. Northern Pike, on one of his first casts of the line into the water...which was the very first time he actually fished! We all went totally wild and it was so fun for Sander as we gathered up the flipping fish in a net! Now, he has turned into a big fisherman, at each stop along the drive since he runs into the store to ask if they sell fishing lures... We are so happy that he has taken up such a wonderful sport! All he wanted to do the rest of the visit was go down to the large rock shore and fish for that elusive 10 lb fish!!!! But I must say that our friends have a pretty unique setup on their little island, with an outside kitchen (which consists of an ancient oven, washing pots, chopping blocks, and no electricity - which accounts for this late post). Just about none of those 'day to day' necessities that you think you need, but you really don't! How about looking down at 20 feet deep water and see the rocks at the bottom.. now that's a clear lake! And, everyone works pretty hard to preserve that. After a much too quick visit we are back on the road again and looking forward to passing through Wisconsin, the Upper Peninsula of Michigan and then Toronto, Canada! After that we are on to the nearby Niagra Falls and then back home as we travel quickly through upstate NY and Massachussetts... it's all going so quickly but we are savoring every moment of this exciting trip - and the kids have thus far been wonderful, except for a few stern looks and the shaking of the head occassionally! 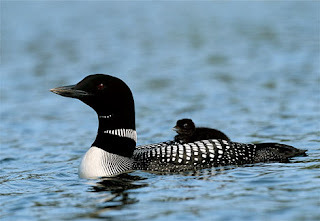 my favorite thing this week - the loon! While on our vacation here in Minnesota I remembered how wonderful is the call of the Loon! It happens to be the Minnesota state bird. Before we went on our trip we checked out the call on You Tube and I let the kids hear the beautiful sound and they loved it. When we arrived up at Burntside Lake we instantly heard one and the kids went wild. My friend Patty said that she feels that kids can make the Loon call better than adults and I think she was right! The kids just picked up the sound and we had a great time with it! Thank you Loon for making our trip just that much more magical! The car is packed up once again and on our way across Ontario and along the north side of Lake Superior and we finally had the perfect opportunity to get some camping in... After Ottowa we made our way through the border town of Sault Ste. Marie, where we finally reached Lake Superior! After a brief stop in Sault Ste. Marie (trust me) we made our way north towards Wawa, which would be our first camping site. As soon as we started along the coast of Lake Superior the views became incredibly breath taking! At one moment I was driving along and I was brought to tears by the beauty! It's impossible to explain but I would say that the drive from Sault St. Marie, Ontario all the way to Grand Marais, Minnesota was beautiful and what I thought was the original reason behind this trip! We were very lucky with the weather (and the kids!) and it was constantly clear sky, good spirits, and sunny the entire route. We weren't traveling as fast as we had thought, as we learned that with kids in tow you have to stop every hour and a half to let them burn off some energy and look around - but this was fine by us. Our first campsite was in Wawa, a totally idyllic setting next to a river feeding the lake, a silent night, beautiful full moon, a tent, some happy kids, and some s'mores (not to mention some pesky mosquitos). But the next morning we had to get up early and get ourselves on the road fairly quickly. Our next destination was Thunder Bay, which I had a childhood memory of as being a great place. Along the way we hit a sweet little community called White River, probably our favorite little town along the route north of the lake, a chip wagon (these are in just about every town across canada!) a HUGE playground and a long long long freight train passed through that the kids just loved - probably because my husband made sure they had front row seats! As well, we came across a little 'bistro' in the town that had a perfect coffee, breakfast, and conversation with the locals. We spent a bit longer than planned in the town, but that's how it works sometimes! We were set for the road! --next stop Thunder Bay! Again the driving was pretty impressive! With stunning cliffs and lakes and rivers it was all perfect. We got a tip from a family at the playground in White River that we should camp at Trowbridge Falls Campground, which we did. Our campsite was even better than the previous one, a bunch of open air space and right next to river 'rapids' and a series of short water falls, the kids had a blast swimming, jumping on the rocks, building wood dams, and our campsite overlooked it all at the top of a short path! We slept to the sounds of the river moving past! We had to get up early again (this was a recurring thing considering we kept stopping along the way and worked out anyway because the kids rise at sunrise...) so that we could meet my family on Burntside Lake, near the town of Ely, Minnesota - way north! We were already running a half day late! So we got up early in the morning and skipped breakfast, crossed the border fairly quickly, and made our way down to Grand Marais, MN on the coast of Lake Superior! Honestly it felt like a bit of civilization after the last 2 days, a natural foods co-op!! YAY! - some herring sandwiches and we were ready to go on our way. The coast of Lake Superior in Minnesota was beautiful but much more crowded than the roads in Canada, but after the solitute of the drive that we had been on it was fine. Not to sound a bit suspicious, but sometimes it seems from passing that the Canadians live on the Lake Superior and on the US side it seems the citizens make it a business! Canada felt more sparse and almost rural as we crossed over the northern shore of the lake and once we started down the west side and back into the US again we could see that it was much more 'active' with inns,coffee shops, gift shops, etc in every town. It's not really a bad thing, it's quite nice after you have been driving for days though many 'empty' towns hoping to find that cute lunch spot...Don't let that make me sound like I'm complaining, because I'm not. In fact, when you think of it, who needs a quaint lunch spot when the 'chippie' wagons popping up along the route throughout Canada offered us ample opportunity to indulge in fish and chips - and a unique 'cuisine' native to the area called poutine, which takes a little getting used to! My husband said it reminded him of something similar that is popular in the north of England.... either way, you have to try it once at least. And next stop: Snake Island, Burntside Lake, Minnesota! We are looking forward to that! Montreal - first stop on road trip! favorite thing of the week -- Olivia! road tripping - here we go! !